Escape the real world and "ENJOY" a Piece of Paradise! Relax and enjoy the comfort of this one story Queens Grant Villa which is located mid-island and convenient to everything. 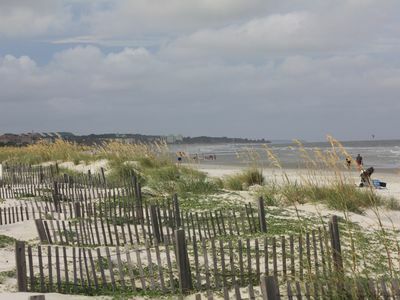 You can walk or use the free shuttle bus (April thru October) to enjoy the white sands of the private community beach. 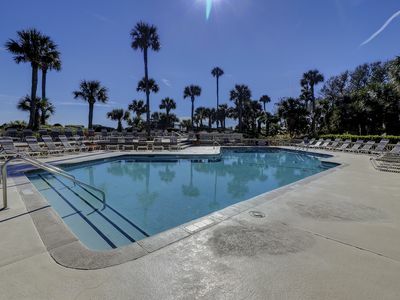 Pick your playground whether it is golfing, tennis, bike riding, jogging, fishing, kayaking on the 11 mile lagoon, bird watching or strolling along the beach, all this can be done within Palmetto Dunes. Then after a long day of activities if you don’t feel like cooking, you can choose from a variety of restaurants to satisfy your taste buds. The Island has some of the finest dining and shopping. 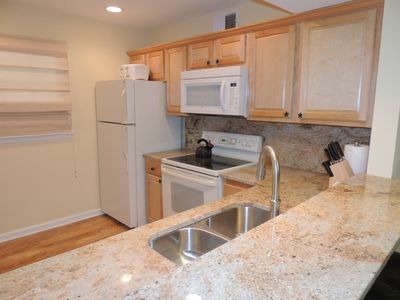 Our villa has an open floor plan and a kitchen with all appliances and central air-condition. 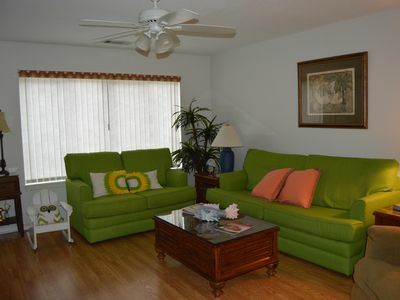 The unit sleeps between 5 people and the dining area provides seating for six. 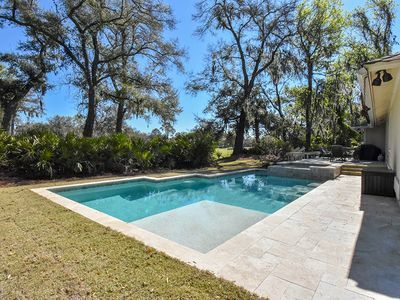 The private courtyard adds an additional outdoor space for a quiet early morning breakfast, catching up on a good book or sunbathing after a swim in the nearby pool. 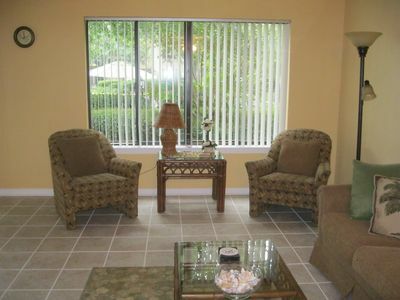 You can relax there in the evening, have a drink with your loved ones after an enjoyable day. 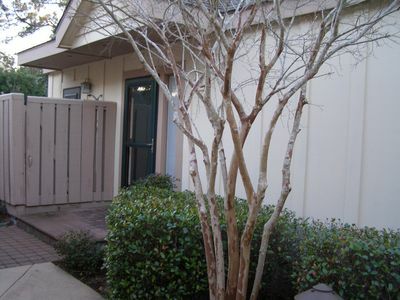 Private entrance, close to parking, single story access. 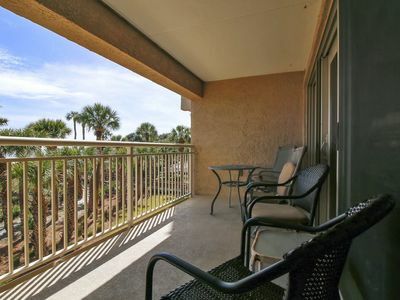 You can walk, bike or take the Shuttle to the private beach for a day of fun in the sun on the white sands. The Dunes House at the beach is a great place for lunch. for the 3rd consecutive year by Travel & Leisure readers. 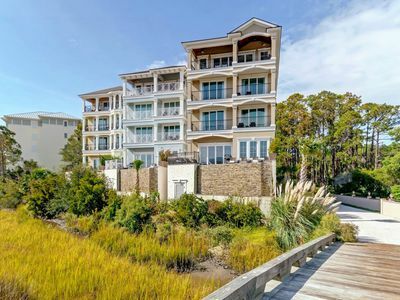 Palmetto Dunes offers; 3 award-winning golf courses, 25 tennis courts, the Island's deepest yacht basin and marina, a 11-mile lagoon system, miles of bike paths, a cultural arts center, two renowned beachfront hotel resorts and their amenities. 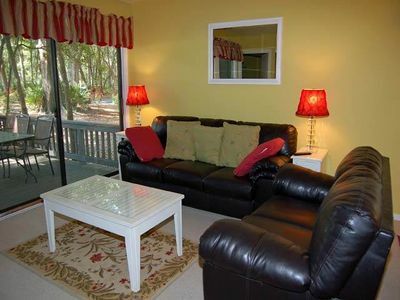 There are many exceptional restaurants, one right in Palmetto Dunes (Alexanders). The new Shelter Cove Town Centre and Shelter Cove Harbour offer shoppers a wide variety of local boutiques and specialty stores, and much more. 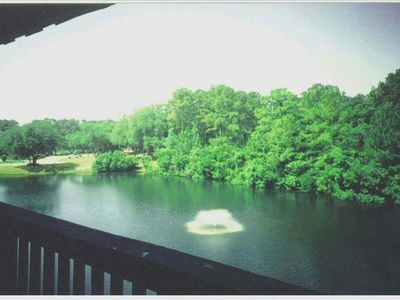 Being located mid-island it is close to Panera Bread, Dunkin Donuts, Carrabba's, Starbucks, Kroger's shopping center with a Starbucks on-site, Guisseppi's Pizza, Fat Baby;s, Dough Boys, San Miguel, Scott's Fish Market,Ocean Grill, Sea Shack, Chow Daddy's, Wild Wing Cafe and the new Whole Food or Fresh Market Shoppes gourmet grocery stores with excellent wine offerings and many take-out gourmet foods ready to eat. Also included - The free 'Dunes Buggy' shuttle service that runs March-September. 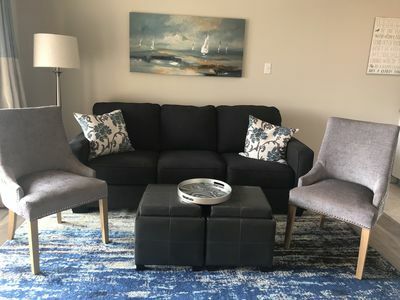 This quick, no hassle service whisks you to Disney & the Dunes House beachfront center, Shelter Cove Harbour, Shelter Cove Town Centre which now features many other, popular shops and eateries. Just call for a quick pick up right from your front door! Lighthouse lovers.. 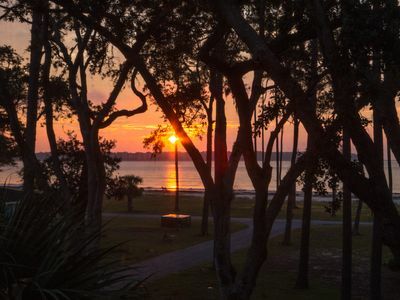 Hunting Island, SC and Tybee Island, GA both have magnificent lighthouses that offer public access and allow you to climb to the top if you dare. 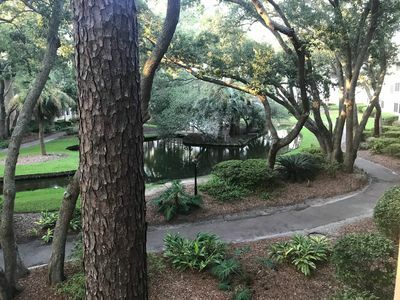 A great day trip offering some of the most beautiful views of the Lowcountry you can experience. Call or drop us an e-mail if you have any questions about the area, our villa, local restaurants, activities, or any special requests you may have. 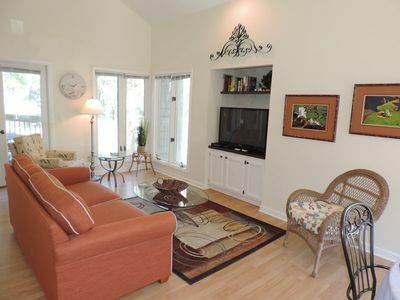 Keywords: Single story Ranch style Villa, all on one level, parking outside Villa entry. Chaming one floor villa - close to beach, restaurants, and shops!! 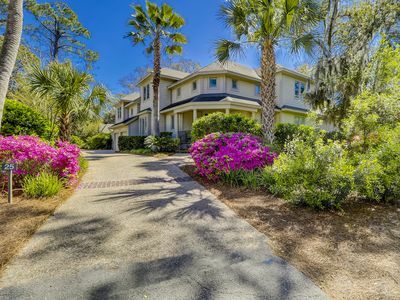 This wonderfully decorated Hilton Head villa is just a five-minute walk to the beach. 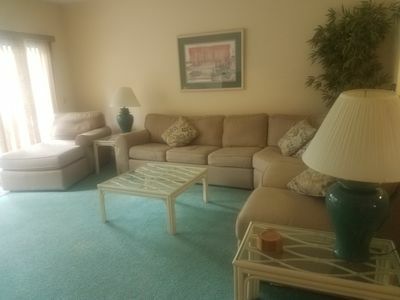 Conveniently located just a few steps to the community pool pavilion, Shelter Cove Harbour Marina! 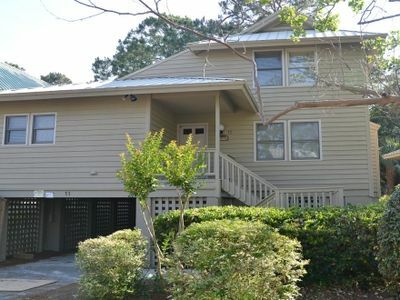 Fantastic home, so close to beach, pool and tennis in Sea Pines! 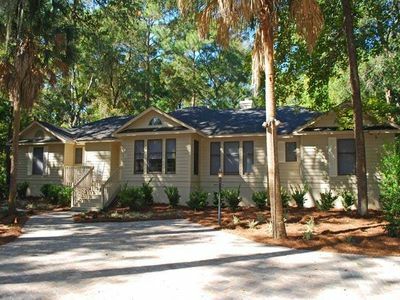 Beautiful Newly Built 10BR Home steps from the sand! Winter Specials! 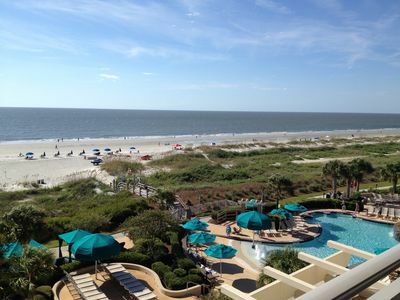 Marriott Barony Beach Club - Oceanfront Villa for 1 Week! 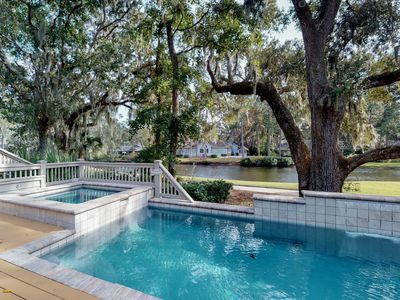 Sunny home w/ private pool, spa, lagoon & golf course views - beach nearby!